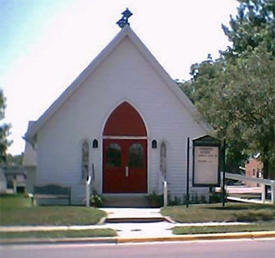 Do you have photos, historical accounts or other items pertaining to the Windom area? Would you like to share this historical information with the world? LakesnWoods.com would like to publish your Windom photos (current or historical) or historical accounts on this website. Original materials can be returned and your privacy will be respected. 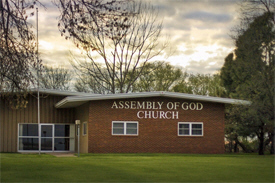 Windom, a lively, growing city, is the county seat of Cottonwood County. 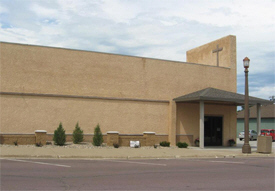 A transportation hub for the region, Windom is served by U.S. Highway 71 and Minnesota Highway 60. The city has a diverse economy including manufacturing, agriculture, medical, technology and adult care facilities. Windom's historic courthouse square is the focal point for a variety of successful retail businesses. 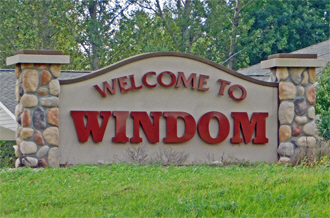 Windom is one of the few communities nationally with a Fiber to the Premise Technology. 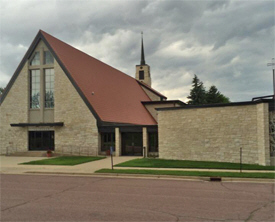 Windom is a city in and the county seat of Cottonwood County, Minnesota. U.S. Highway 71, Minnesota Highway 60, and Minnesota Highway 62 are three of the main routes in the city. The Des Moines River flows through Windom and serves as a gentle, rapid-free canoeing spot. 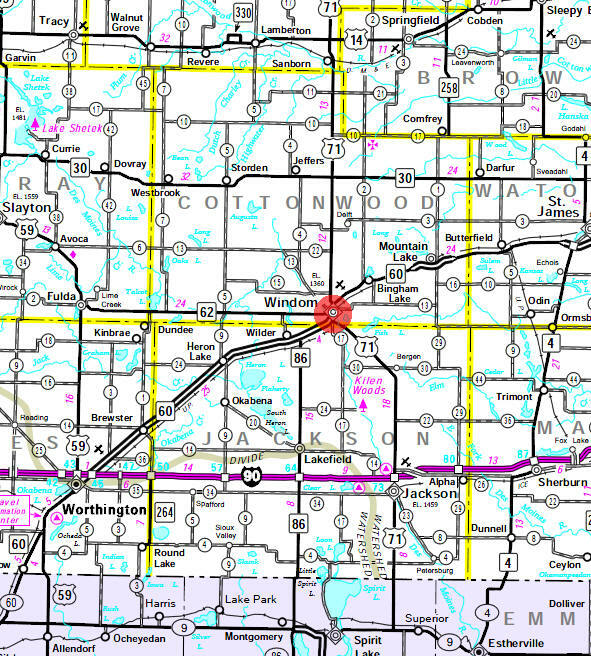 Windom is located on the Coteau des Prairies, a ridge extending from South Dakota to Iowa separating Cottonwood County into two watersheds. According to the United States Census Bureau, the city has a total area of 4.33 square miles (11.21 km²). 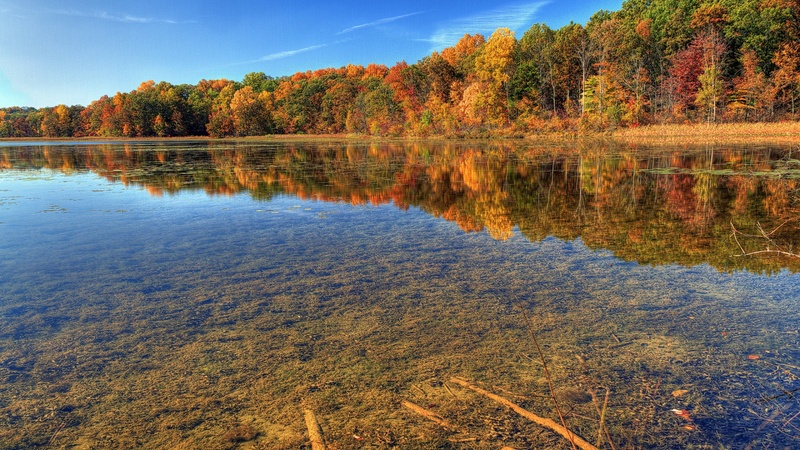 4.16 square miles (10.77 km²) of it is land and 0.17 square miles (0.44 km²) of it is water. The elevation is 1,362 ft (415 m) above sea level. As of the census of 2010, there were 4,646 people, 1,994 households, and 1,201 families residing in the city. The population density was 1,116.8 inhabitants per square mile (431.2/km2). There were 2,171 housing units at an average density of 521.9 per square mile (201.5/km2). The racial makeup of the city was 92.1% White, 1.4% African American, 0.3% Native American, 1.2% Asian, 0.3% Pacific Islander, 3.7% from other races, and 1.1% from two or more races. Hispanic or Latino of any race were 8.0% of the population. There were 1,994 households of which 26.9% had children under the age of 18 living with them, 47.4% were married couples living together, 9.4% had a female householder with no husband present, 3.5% had a male householder with no wife present, and 39.8% were non-families. 35.7% of all households were made up of individuals and 16.3% had someone living alone who was 65 years of age or older. The average household size was 2.25 and the average family size was 2.91. The median age in the city was 42.6 years. 23.2% of residents were under the age of 18; 6.8% were between the ages of 18 and 24; 23.1% were from 25 to 44; 25.8% were from 45 to 64; and 21.2% were 65 years of age or older. The gender makeup of the city was 48.2% male and 51.8% female. 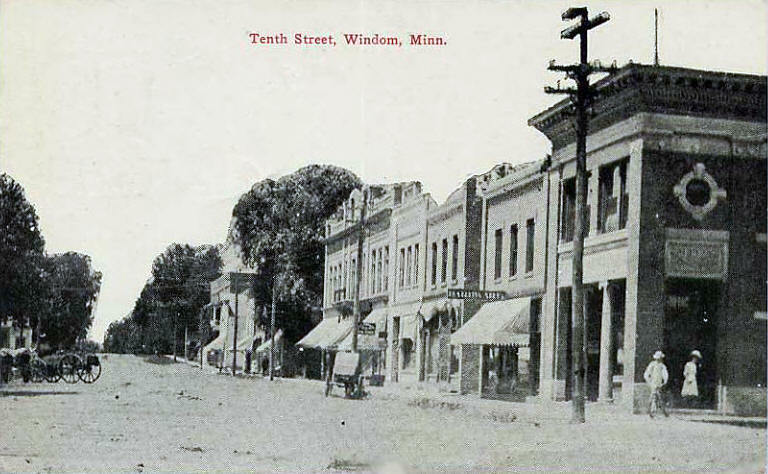 WINDOM, the county seat, was platted June 20, 1871, about a dozen lots at $100 each being sold the first day. 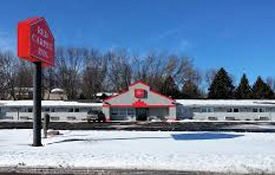 By August of that year a number of stores were open for business, all buildings of wooden frame construction: a hardware store, a saloon, two bakeries, a grocery, two dry goods stores, a meat market, a print shop, a hotel, and a general store, a number of them owned by women; the post office began in 1871 with Samuel M. Espey, postmaster. 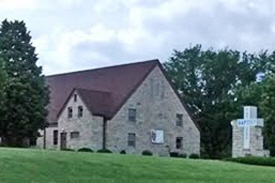 It was incorporated as a village in the spring of 1875, the first ordinance of the village council being passed April 15, and was reincorporated September 9, 1884. It was named by Gen. Judson W. Bishop of St. Paul, chief engineer for construction of the railway, in honor of the distinguished statesman, William Windom of Winona. He was born in Belmont County, Ohio, May 10, 1827, and died in New York City, January 29, 1891. He received an academic education and studied law; came to Winona, Minn., in 1855; was a representative in Congress, 1859-69, and U.S. senator, 1871-81; was a member of the cabinet of President Garfield, in 1881, as secretary of the treasury but retired on the accession of President Arthur; was again U.S. senator, 1881-83. On the inauguration of President Harrison, in 1889, Windom was reappointed secretary of the treasury and held the office till his death, which was very sudden, from heart failure, just after making an address at a banquet of the New York Board of Trade. A volume titled Memorial Tributes to the Character and Public Services of William Windom, Together with His Last Address (161 pp.) was printed in 1891. 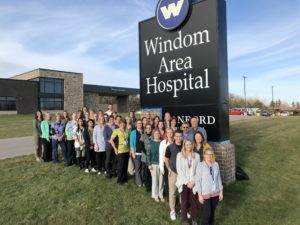 By providing state-of-the-art medical care right here in our community, we work to improve the health and quality of life of the people in and around Windom, MN. Through Avera Health, we offer access to the region’s largest and most comprehensive health care network, for additional depth, expertise and cost savings. 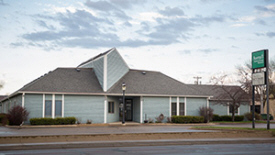 Windom Area Health is a Critical Access Hospital. We provide 24-hour comprehensive general medical, surgical, obstetrical and emergency healthcare services. 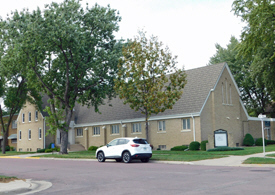 Windom Area Health is owned by the City of Windom, and has been managed by Sanford Health. 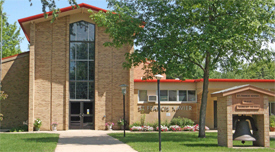 We’re minutes from the charming downtown area, Des Moines River activities, and plenty of beautiful parks. 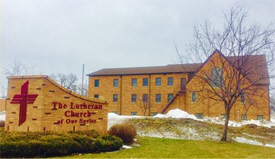 Plus, you can easily reach Windom Arena and Mountain Lake Heritage Village. 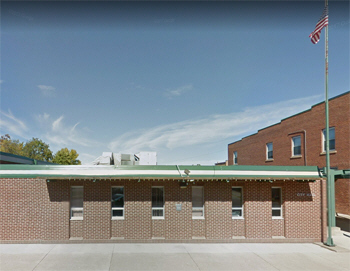 If you’re in town for work, take advantage of our business center and proximity to local headquarters such as Comfrey Farm Prime Pork and The Toro Company. 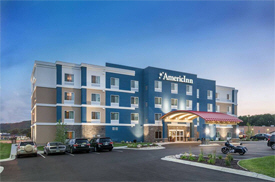 Throughout your stay, enjoy free WiFi, daily breakfast, and our indoor pool and hot tub. 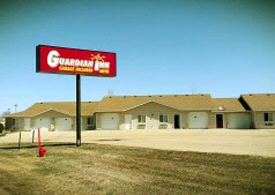 The Red Carpet Inn Windom is pleased to offer free Wi-Fi, free continental breakfast, fridge and coffee maker in all rooms. Cable TV and HBO movie channel is also available, along with 24 hour front desk, free parking and vending machines. The rooms are spacious and decorated with wood furniture and warm accents. The Red Carpet Inn offers great clean rooms and exceptional friendly service at reasonable prices. The Windom Business Directory is Coming Soon!